Isolated, untouched, incredible. 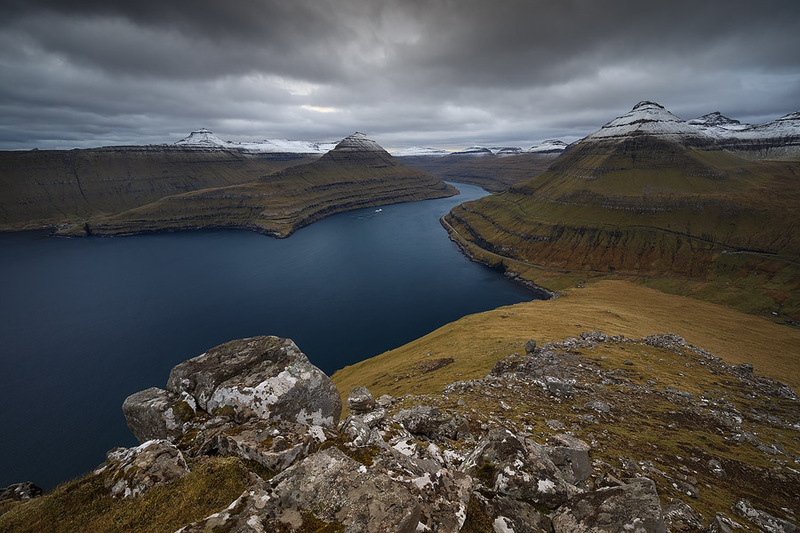 Between the Atlantic Ocean and the Norwegian Sea lie the Faroe Islands, a well-hidden gem of unspoilt beauty, fascinating sights and untamed nature. 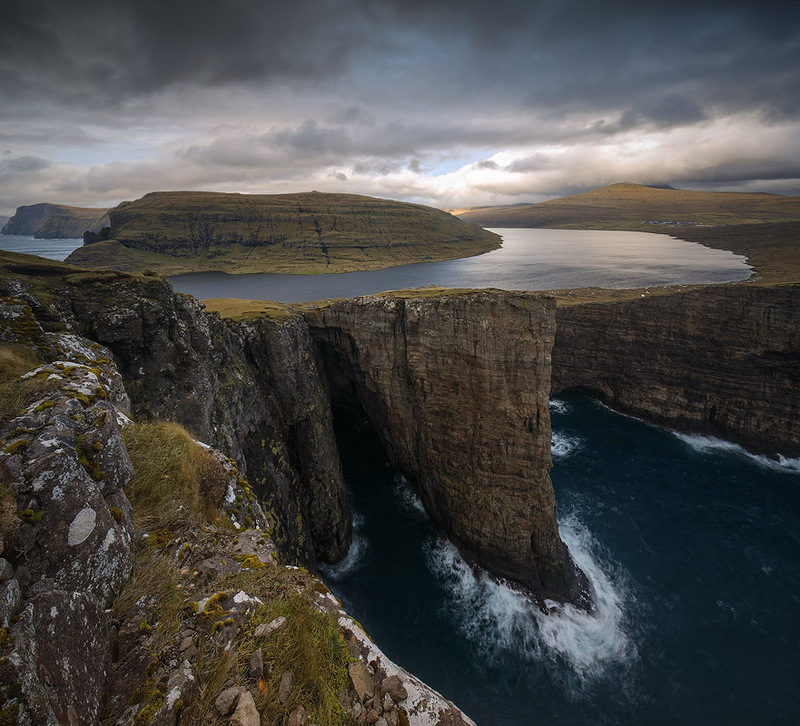 Some locations in the Faroes seemingly defy logic, such as the mind-bending Sørvágsvatn lake, just a few tens of meters away from a 100-meter cliff above the sea. Others are simply a feast for the eyes. Wherever you go, the air is fresh, the landscape surprising and nature the supreme ruler. Join award-winning landscape photographer Erez Marom on a photographic journey packed full of excitement, nature and visual bliss. You will be taken to the right place at the right time and together we will experience and shoot towering cliffs, peaceful beaches, tiny villages, gushing waterfalls and much more. With just the right amount of rewarding hikes, breathtaking mountain vistas, secret spots and great company, this will undoubtedly be an epic trip. Winter schedule means we'll have the place for ourselves, in hope of heavy snow and ever-changing weather resulting in huge diversity in light and conditions. We will meet for dinner at our hotel, during which we will get acquainted with the guide and participants and discuss the plans and weather conditions for the upcoming days. 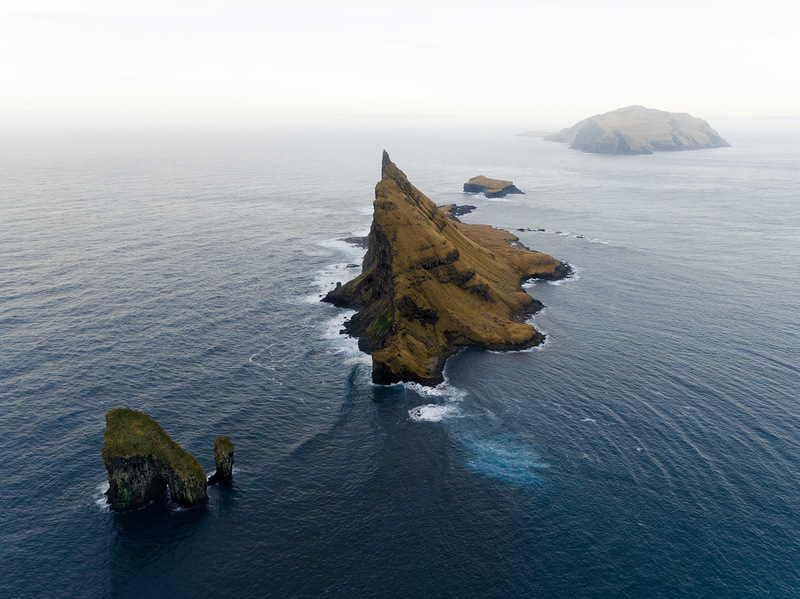 Vágar Island is home to some of the Faroes' most iconic locations. 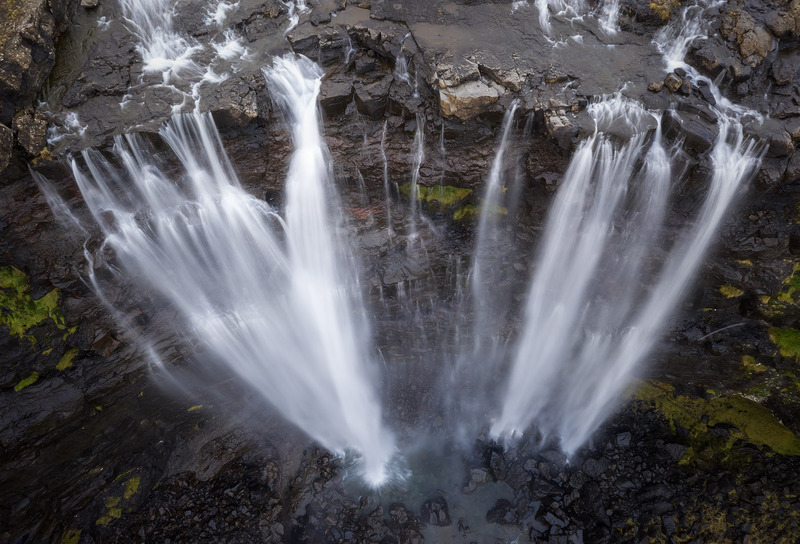 An extremely popular photography spot is Gásadalur. Gásadalur translates directly to English as “goose valley”, which is told to be named after the wild geese, which from ancient times have travelled to the valley. 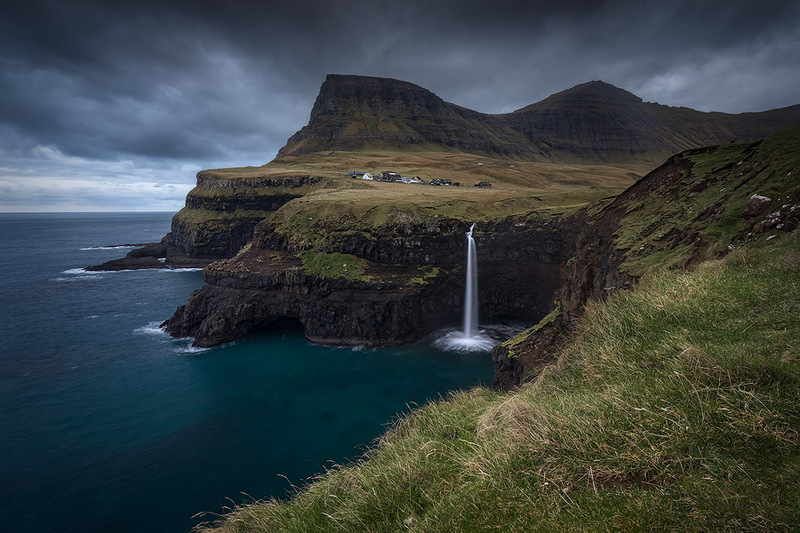 This tiny village is located on the edge of Mykinesfjørður, surrounded by the highest mountains on Vágar, and is also home to perhaps the most famous waterfall in the Faroe Islands, bearing the same name. Apart from Gásadalur, Vágar is home to some beautiful photography locations. One of the best know is Sørvágsvatn. 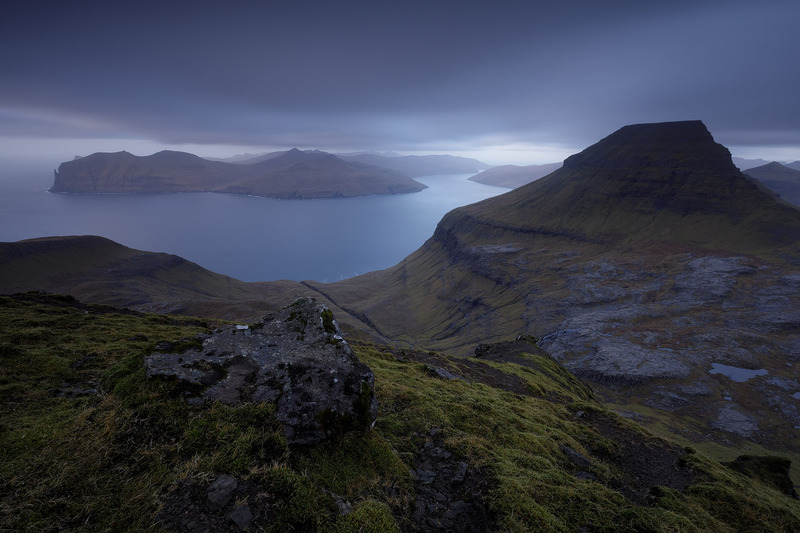 It is by far the largest lake in the Faroe Islands, but that isn't why it's so famous. The lake is located very close to the ocean, but its surface is about 40 meters above the level of sea. It is surrounded by a higher cliff which prevents it from emptying fully into the ocean, the waterfall Bøsdalafossur being the outlet. We will hike to an outlook where the cliff, the sea and the lake can be seen and shot - a marvelous sight indeed. The western edge of Vágar is also a good spot to shoot the tiny island of Mykines - the westernmost island in the archipelago. Another island which can be seen from Vágar is the tiny uninhabited, islet of Tindhólmur. Its jagged peak makes it a very interesting spectacle, but one best enjoyed from afar. We will venture into 3 different islands and see what they have to offer. Chasing good conditions and light, we will maintain maximal flexibility and decide where to go on the spot. 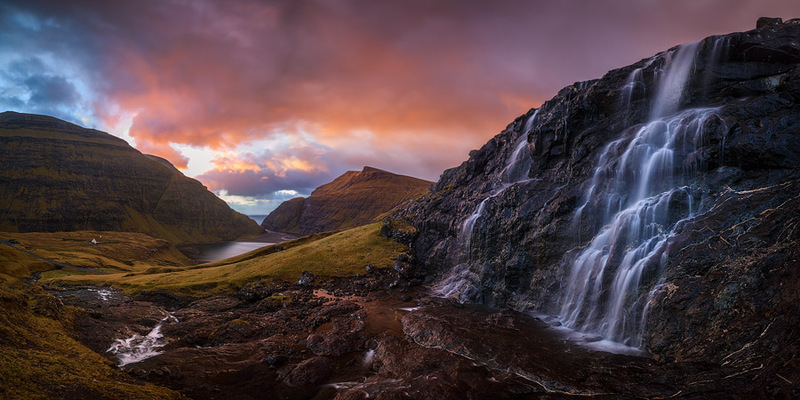 Streymoy is the largest and most populated island of the Faroe Islands. The capital, Tórshavn, is located on its east coast. From a photographic point of view, there are many interesting destinations such as the villages of Tjørnuvík and Saksun. A spot I always enjoy is a mountain vista looking toward Vagar. Kalsoy is a narrow island on the north-east of the Faroes. 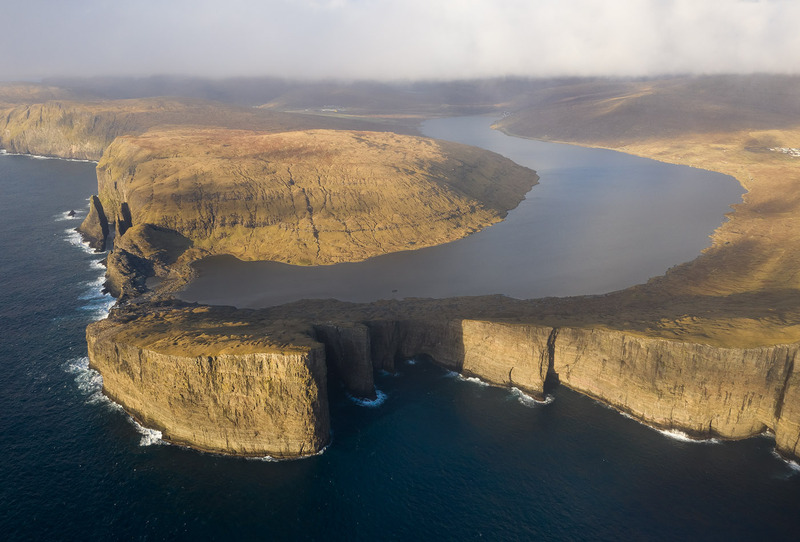 The western coast has dramatically steep cliffs for the full length of the island, whereas idyllic valleys on the eastern slopes protect the four tiny settlements, Húsar, Mikladalur, Syðradalur and Trøllanes, whose combined populations total less than 150. 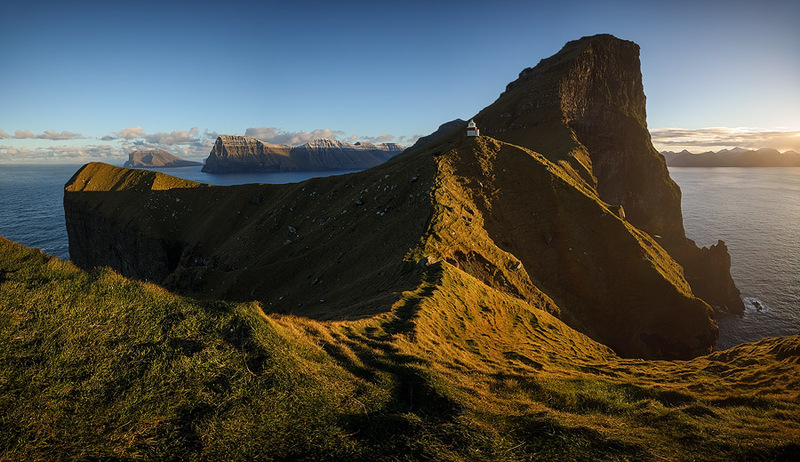 We will travel to Kalsoy by ferry on one of the mornings and continue with our van to Trøllanes, where we'll park and start a relatively easy half hour hike to the lighthouse of Kallur. 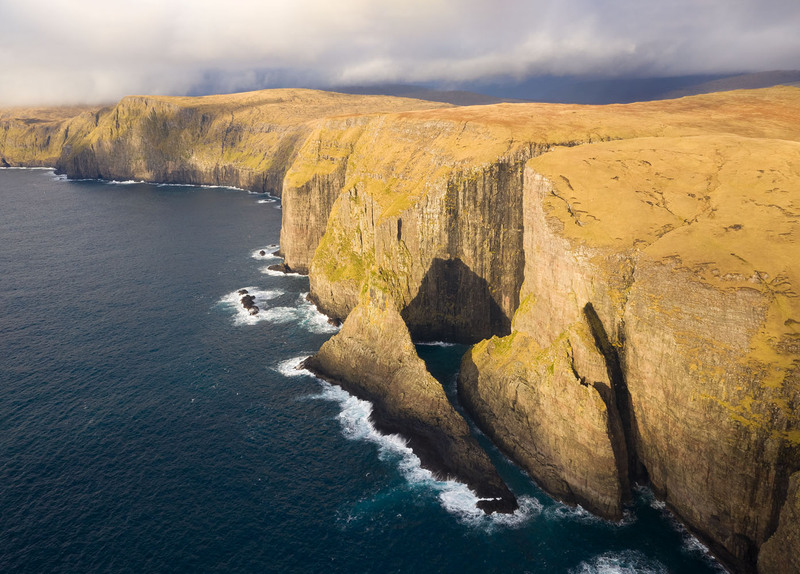 The Faroe Islands are the perfect place for using a camera drone. The landscape is packed with mountains, fjords, waterfalls and countless features that beg to be shot from the air. I highly encourage you to bring a drone to this workshop, you will use it as much as, if not more than, your DSLR camera. After breakfast at the hotel, we will depart to Vágar airport for goodbyes and your flight home. €4190 for participants registering afterwards. Sign up as a group of 3 or more and receive a €200 discount* each! Physical Difficulty: Intermediate. We will be hiking to some of the locations for up to an hour, but the hikes are fairly easy if you're moderately fit. Weather conditions in the Faroes can be harsh, and you must be prepared to withstand strong winds. Temperatures will most likely revolve around 3 degrees centigrade. Hotel accommodation. We'll be sleeping in a very comfortable, perfectly-located 4-star hotel. 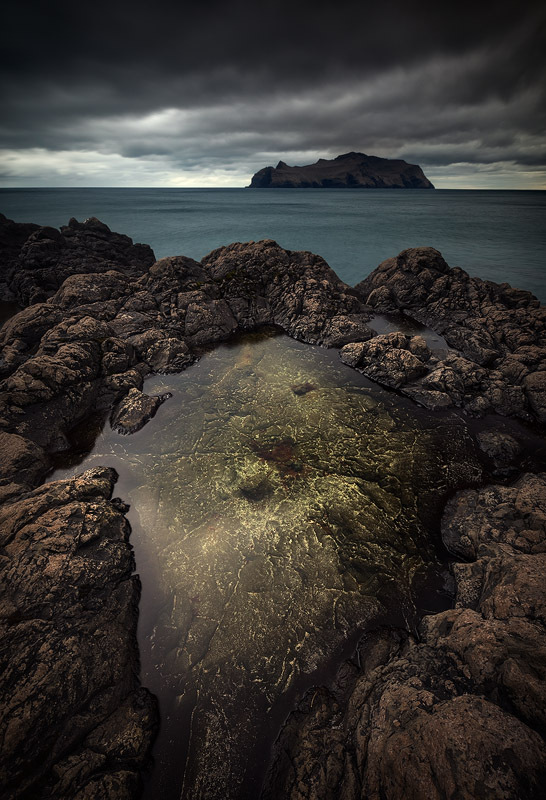 Professional photography guidance by an esteemed landscape photographer. Critique sessions and post-processing assistance when and where possible. Ferry sail to Kalsoy island. Travels in a spacious, comfortable van offering ample room for you and your photoraphy gear. Entrance fees, road tolls and taxes on all services listed above. Airfare to and from Vagar Airport (FAE). Non-meal-time snacks or soft drinks (the Faroe's tap water is fantastic and highly recommended). An ultra wide angle lens. For example, a Canon 16-35mm on a FF sensor camera, or a Nikon 10-24mm on a crop sensor camera. A mid-range zoom lens such as a 24-70mm. A telephoto zoom lens, such as a 70-200 or 70-300 (the longer the better). Doesn't have to have a wide aperture but a stabilizer is recommended. Recommended: A filter set for landscape photography. A good filter set is worth its weight in gold for a landscape enthousiast. If you need to consult about buying a filter set, I'll be happy to help. Highly recommended: a camera drone (contact me for help). Thermal gear is essential. I typically wear a thermal base layer, a fleece jacket and a down coat. Warm gloves. It's important to use gloves which enable you to operate the camera while wearing them. A good warm hat which covers your ears. Born in 1980, Erez Marom is a full-time nature photographer, photography guide, writer and traveler-adventurer based in Israel. Erez spends much of his time in the field shooting the wildlife and scenery of his favorite locations worldwide. 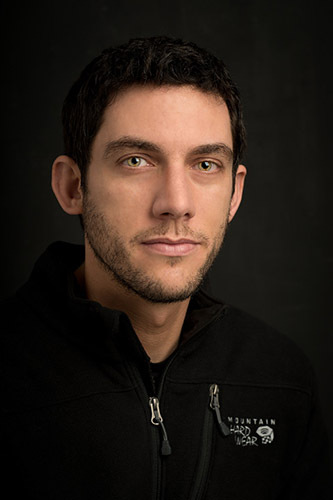 In addition, Erez publishes articles and instructional texts in leading magazines and websites, and dedicates a considerable amount of his time to sharing his experience and knowledge by lecturing and traveling several times a year to guide his unique photography workshops. His images have adorned the covers and pages of numerous magazines and books. In order to secure your spot, you are required to transfer a deposit of €1990. This deposit will be refunded only in case the workshop gets cancelled for some reason. For your comfort, the deposit can be payed either through PayPal or via bank transfer (contact me for details). The full amount (after discounts if applicable) must be payed via wire transfer 90 days prior to the workshop starting date. I reserve the right to increase the price of the workshop if costs rise due to unexpected changes in fees, taxes or exchange rates. Though very improbable, workshop dates might shift a few days here or there, up to 6 months prior to start date. Please contact me if you have schedule limitations. The tour plan above is subject to change. Weather in the Faroe Islands can be extremely unpredictable, and so in case of harsh weather, we may have to divert from our plan and do something else. There's always something to do though, wherever we are. Aurora is, of course, not guaranteed.